"Nice that it does not spin your food, easier to put big ceramic pot in. Roomy enough, feels solid. 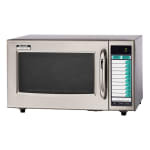 I replaced a consumer microwave that had doz..."
"I bought this in Oct. 2014 and it has worked flawlessly. It is used in my home because I can't stand the poor quality of residential microwaves...."
"Nice that it does not spin your food, easier to put big ceramic pot in. Roomy enough, feels solid. I replaced a consumer microwave that had dozens of buttons and presets that did not really work with this. Has been a pleasure to use so far." "I bought this in Oct. 2014 and it has worked flawlessly. 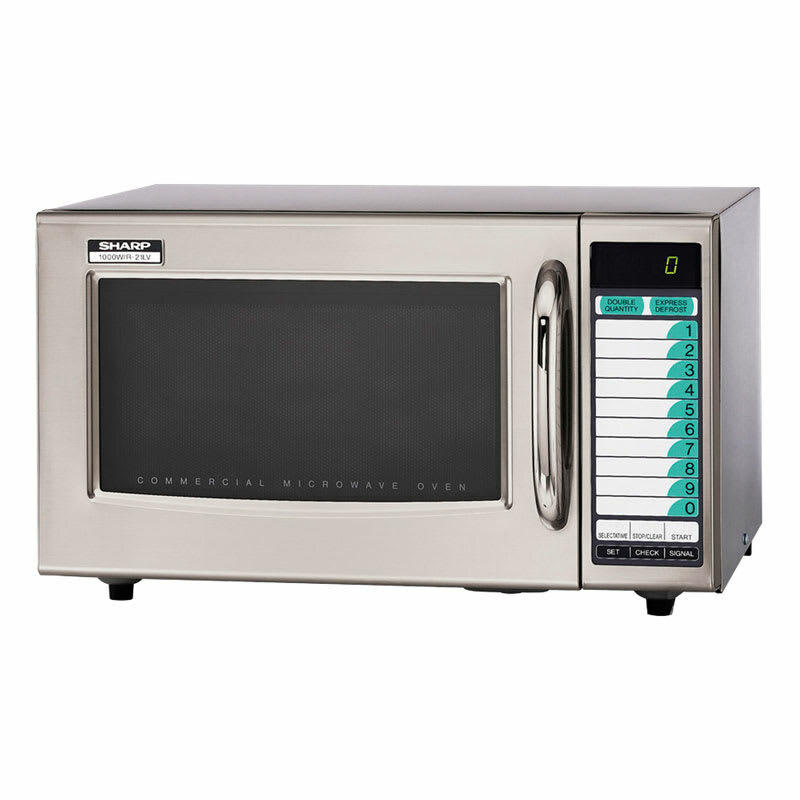 It is used in my home because I can't stand the poor quality of residential microwaves. This is nice quality and no louder than a home use microwave. This is MUCH heavier than a home microwave. It heats very fast. The only down to it is the stainless outer shell is quite thin. Blends in nicely in the kitchen. Contacted Sharp and was told they would honor warranty in a home. I wanted Amana but they do not. Very happy with the purchase from KaTom."